Hédène rosemary honey is creamy and sweet. Light-colored, it has green, fresh and floral overtones. The sweetness of rosemary honey reminds acacia honey, subtle and refined. Rosemary honey has well-balanced green overtones. It can be tasted raw with a spoon or spread on toasts, just like heather honey, and its jelly texture. 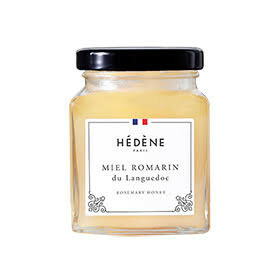 Hédène rosemary honey is harvested in Languedoc in the Narbonne natural reserve. It has a green scent and a very nice flavor. With its creamy texture and a light crystallized grain in the mouth, it is distinguished by a very light color and a harmonious taste. More floral than acacia honey, it remains sweet with fresh overtones, delicately acidulous. 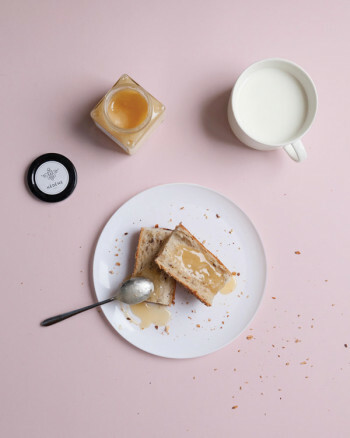 Hédène rosemary honey can be eaten at breakfast, on a hot brioche or toasts. Thanks to its creamy texture, it spreads and melts softly on crusty bread. It can replace jam. It also matches with a glass of lukewarm milk, as a substitute for sugar. 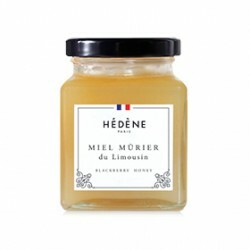 This exceptional French honey is perfect for a healthy and delicate breakfast.